The High Court has rejected an appeal by a former solicitor who claimed that the disciplinary tribunal which struck him off should have dismissed the prosecution because of his mental ill-health. The Solicitors Disciplinary Tribunal (SDT) was found to have acted fairly in the way it treated Alexis Maitland-Hudson, and at one stage the Solicitors Regulation Authority (SRA) even made an unprecedented offer to pay for the preparation of his closing submissions. Mr Maitland-Hudson, now aged 70, was admitted as a solicitor in 1975 and to the Paris Bar in 1988. He latterly practised as a senior partner at Maitland Hudson & Co and as a sole practitioner avocat at Cabinet Maitland Hudson. In April 2018, the SDT struck him off and ordered to pay interim costs of £300,000 ahead of a detailed assessment of the SRA’s claimed costs of £600,000 in what was a complex case leading to an exceptionally long ruling of 123 pages. There were two limbs to the case. The SDT found that Mr Maitland-Hudson had acted when he had a conflict of interest with a client, had used confidential information about that client after he had ceased acting for him, had taken unfair advantage of the client, and that his conduct was dishonest. The second set of allegations was that he provided advice and/or assistance to another client in relation to an unlawful scheme to deprive that client’s business partner of his capital interest in a Ukrainian TV station worth tens of millions of dollars. It was further alleged that he had helped the client conceal what he had done and that this conduct was dishonest. The allegations, with one exception, were found proved. The SDT found that Mr Maitland-Hudson had been guilty of misconduct “at the highest level”, which it characterised as “deliberate, calculated and repeated… over a number of years”. It was aggravated by his dishonesty and attempts to defend his conduct. His appeal was based on grounds of alleged procedural unfairness, specifically that, as a litigant in person (he dispensed with the services of his legal team the day before the hearing), he was substantially impaired in his ability to defend himself, to the extent that he admitted himself to hospital. Despite several applications, the SDT refused to dismiss, stay or adjourn the end of the proceedings. The ruling recorded how Mr Maitland-Hudson first notified the SDT about health issues shortly before the hearing in January 2018, saying he suffered from anxiety and panic attacks, and provided letters from his GP that he was on medication for depression. The GP also requested several adjustments to help Mr Maitland-Hudson cope with the hearing, which were implemented. However, on day eight of the hearing, he applied to dismiss the proceedings on the ground of ill-health. This was rejected. A week later, Mr Maitland-Hudson did not attend the tribunal, having admitted himself to a private psychiatric hospital the previous evening for depression. The SDT adjourned the hearing. There were then three further adjournments – at one hearing the SRA made the offer to pay up to £7,500 to fund preparation of Mr Maitland-Hudson’s closing submissions, as he said he could not afford it. There was eventually a hearing in April, where he was represented by leading counsel, but only for the purpose of applying to dismiss the proceedings as an abuse of process. He said his wife had paid for this. The tribunal rejected the applications and continued the case, concluding the following day. In its written ruling, it explained at length its approach to this issue, concluding that there was no persuasive evidence that Mr Maitland-Hudson had not been fit to participate in the proceedings. It noted that, once the hearing began, he had taken part effectively and the SDT was satisfied that he had had a fair hearing. Mrs Justice Carr – sitting with Lord Justice Green – rejected the argument that the tribunal’s own experience and view of Mr Maitland-Hudson’s performance during the hearing was irrelevant and should have been disregarded. Further, the tribunal had made adjustments, was “expressly” keeping the situation under review with an eye to fairness, and there was a clear public interest in ensuring that dishonest solicitors were not allowed to practise. 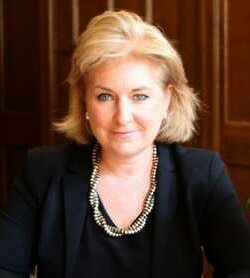 While Mr Maitland-Hudson was still practising in France and so beyond the SDT’s jurisdiction, she added, “findings of dishonesty here could be material to [his] ability to continue working as an avocat abroad”. Carr J went through every hearing and found that, each time, the SDT made a fair and careful decision, which could not be impugned as unjust or wrong.